A strained muscle in my back has been giving me gip for a few too many days. So whilst it’s improved some, it really isn’t good enough for a play on the tidal rapids on a nice spring tide. 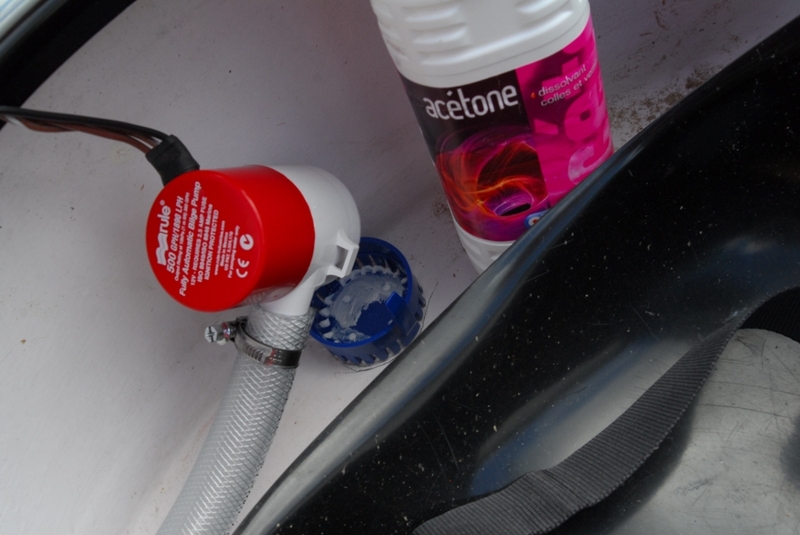 Instead I’ve taken the time out to install an Auto pump in another boat. These operate using micro electronics, the pump is programed to start up every 2 minutes. 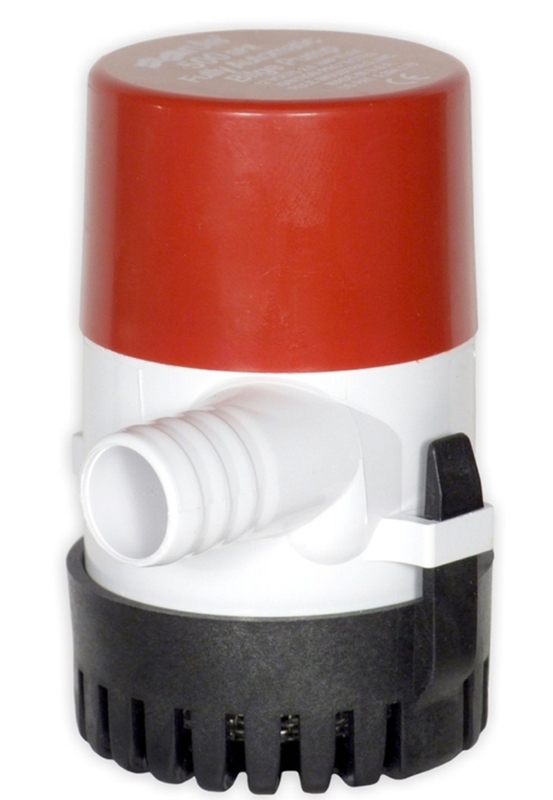 If the pump spins with no load on the impeller it switches off, if however there is water present and a ‘load’ detected, the motor continues to run until a ‘no load’ condition is detected ie The boat is empty. 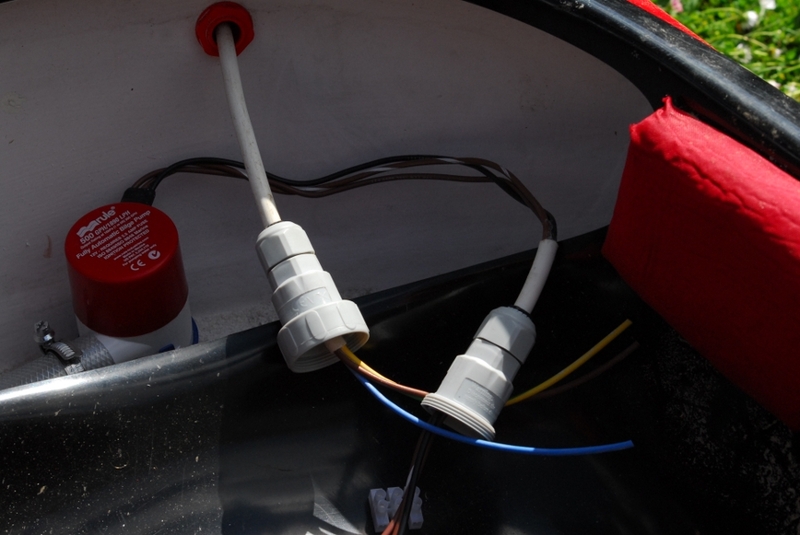 The installation requires just two holes in the boat, the first for the skin fitting, and the second in the bulkhead for the cable stuffing gland. Both these holes are 20mm Diameter. 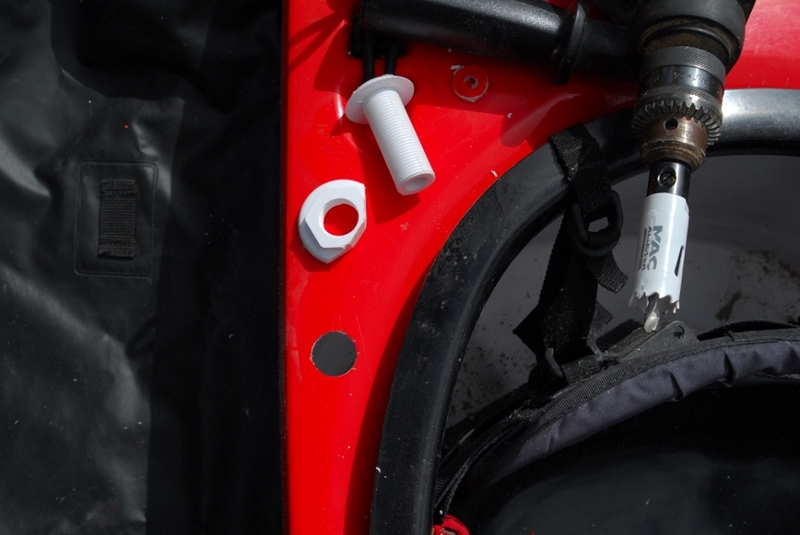 A small amount of Silicone was blobbed on the skin fitting and then screwed down tight into the retaining nut. You can see that cutting the flanged nut down allows for a neat install close to the side of the hull. 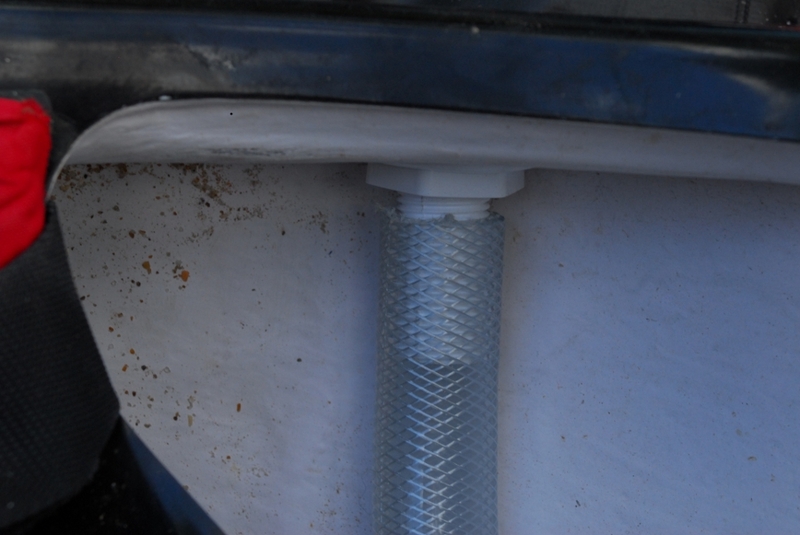 Next the 3/4 Tube can be slid over the outlet and secured with stainless steel hose clips. 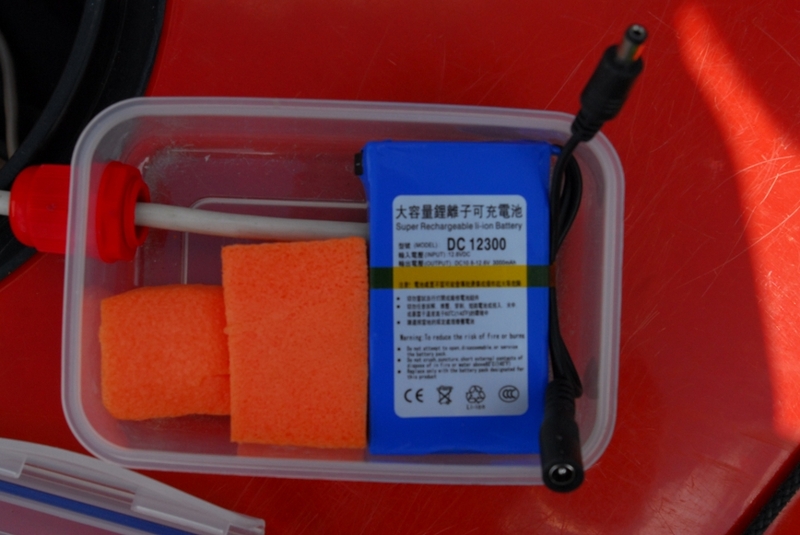 Here you can see the 3 seperate conductors of the pump run into a bit of cable sheaf, then fed into the IP68 waterproof connector, the glands on the cable connector work exactly as the stuffing glands, compressing a rubber seal on the outside of the cable. 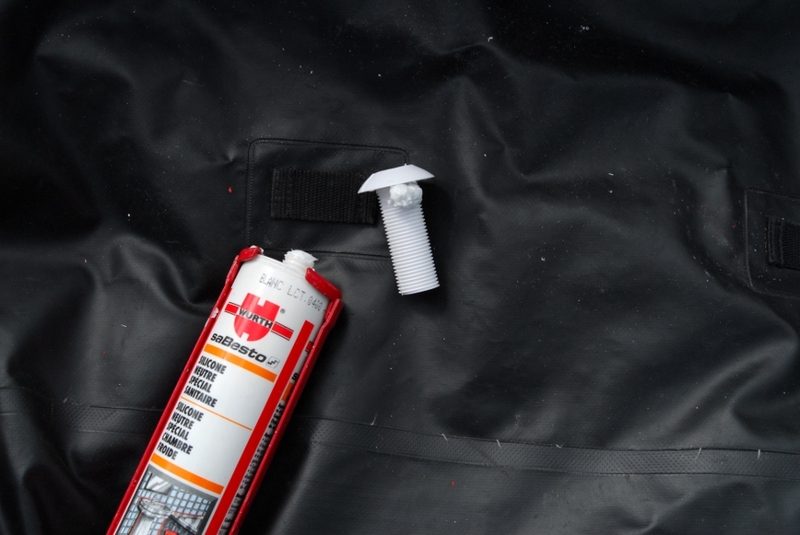 The purpose of the Cable connector was to allow a longer length of flex to be used allowing easy siting in the day hatch, but also to allow a simple means of removing the pump for storage, maintenance or security. A 20mm hole is cut in the bulkhead, I chose near the top as there is less likely hood of the gland sitting in water (and I guess giving a better life ) Another length of flex is needed from the cable connector through the Bulkhead using a cable stuffing gland and then into the Battery box. I used a small amount of silicon on the cable gland to ensure it is water tight as my bulkhead does have a curve in in it. A stuffing gland was used on the battery box, even though my hatches are dry I really wanted to be sure of not damaging the battery. The actual wiring is simple. The pump has 2 conductors for Auto run which go to the two terminals on the Battery, and the 3rd conductor allows connection to a switch to operate manually. I installed all 3 cores to the battery box because the three core flex is sealed perfectly by the glands, and of course it does offer options in the future. 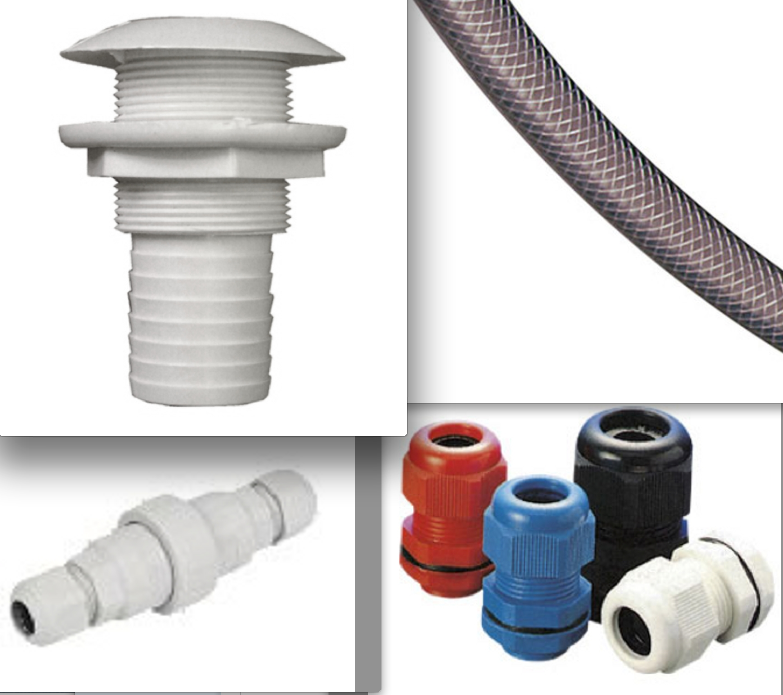 The manufactures specify no ‘non return valve to be used, and no ‘loop’ to be placed in the discharge hose as they would create too high a pressure. 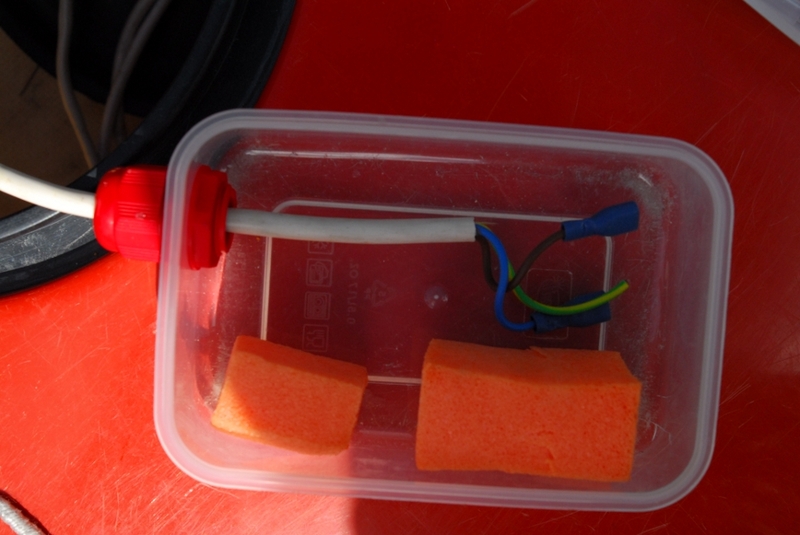 On the other boats I have use a soft foam plug on a cord to stop water entering the skin fitting, when the pump starts pumping water it actually pops the plug out easily.